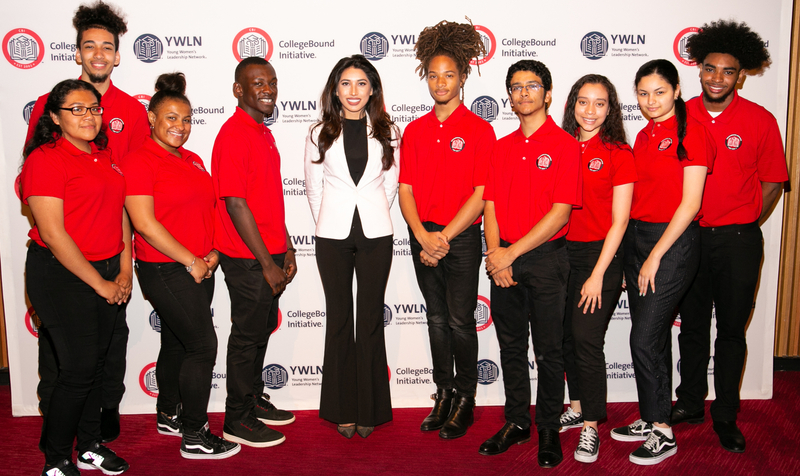 CollegeBound Initiative (CBI) has historically taken a preventive approach to combating student attrition in college by appropriately accessing support programs at various colleges for students who meet the criteria (e.g., NYS Opportunity Programs, CUNY ASAP, Bottom Line, Posse Scholars, etc.). The financial aid, structure, and staff support that these programs offer ensures the majority of our students have a smooth transition to and through college. We have chosen to focus on maximizing enrollment, persistence, and graduation. Below are a few program initiatives that will continue to support our college students in new and deeper ways. As we continue to counsel our students as they navigate their senior year and transition to college, our college transition coaches (CTCs) play a major role in enhancing the delivery of college access services to seniors. 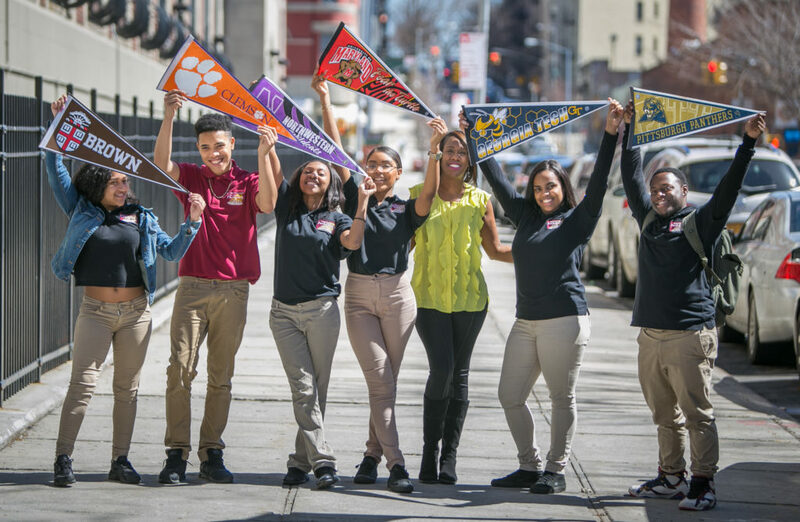 Hired to work alongside our directors of college counseling (DCCs) through a peer-support model, CTCs work to increase graduating seniors’ college acceptance and direct enrollment rates after high school. The CTC role was first developed to address the “summer melt” and other barriers to direct college enrollment for CBI students by providing targeted support for high school seniors at the most critical junctures of the college-going process through our Bridge to College program. Through the successful integration of our CTCs within our schools utilizing the BTC platform, the CTC program has extended to a yearlong service model, where CTCs tackle application, financial aid, and enrollment support. Since CTCs are proud CBI alumni, this initiative not only develops the next generation of professionals but also provides our current students with positive peer relationships from their own community! CTCs are provided ten formal network-training opportunities during the year to provide the necessary skills for tackling the different levels of task for application, financial aid, and enrollment support. Training includes step-by-step processing of CUNY, SUNY, and common applications; FAFSA, TAP, and CSS profile support; presentation strategies for enhancing college access service program delivery; counseling through matriculation steps; and more! Additionally, since our goal is to continue to develop our CTCs beyond the CTC role and possibly cultivate future DCCs, our trainings also include collaborations with organizations like NYU College Advising Corps (NYU CAC) to provide a future employment pipeline. Due to the level of work our CTCs have committed to through this role, we have had four successful hires at NYU CAC! CBI launched an innovative new initiative called The Closer. Through this initiative, we are leveraging CBI’s data-driven expertise in providing college access and success services, deep connections to the students it serves, and strong relationships with institutions of higher education. Early efforts have focused on reengaging CBI graduates – nearly 800 students – who stopped out of college after having accumulated the equivalent of six or more full-time semesters of college enrollment and helping them complete their education. Our college completion program manager, Mariela Regalado, is a full-time employee who spearheads this initiative and offers college-level advising to help students (i.e., possible future college graduates) identify and address barriers to college completion. The college completion program manager (CCPM) collaborates with CBI’s senior managing director to (1) deepen our partnership with the City University of New York (CUNY), an institution where nearly 80% of students in our target population were enrolled and earned credits at some point in their college career, and (2) integrate the use of text messages, a low-cost, high-impact technological intervention to support the program’s efforts. The CCPM designs and delivers programs to reengage and maximize degree attainment for alumni.